Since 2009, Signature Cleaner has been Bucks County’s environmentally-friendly leader in the clothing care industry. 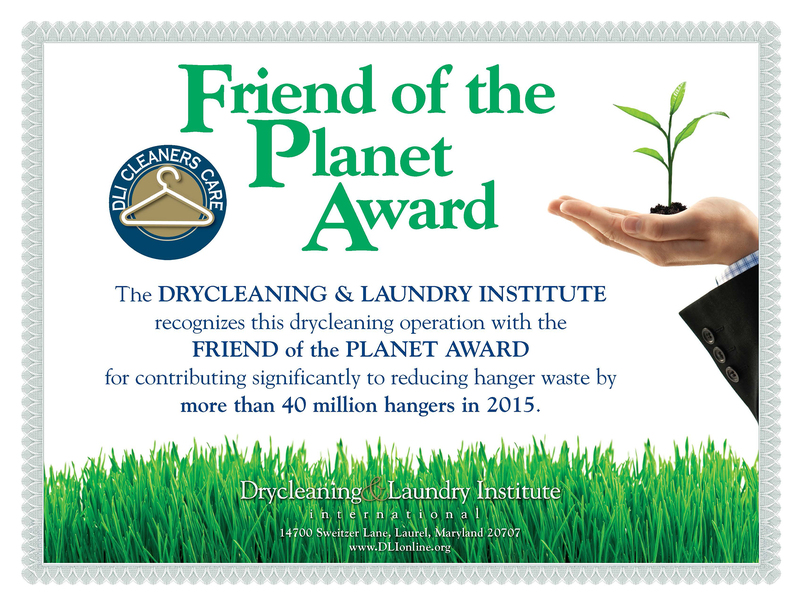 We are an active participant in the Dry Cleaning and Laundry Institute’s “DLI Cleaners Care” hanger recycling program. This has resulted in the removal of 35+ million hangers from landfills and other improper sites. We also properly dispose of the plastic packaging in which you receive your ready-to-wear garments. In 2017, we are pleased to announce the addition of the K4 Dry Cleaning System to our company. This is the cutting edge, state-of-the-art method of cleaning your clothes in a way that doesn’t affect the air we breathe, the soil in which we grow our vegetation, or the water that we drink. It is non-toxic, biodegradable, hypo-allergenic and dermatologically tested. Your items are returned to you stain free, with a soft feel and a clean fresh scent. Our management team and employees are part of your neighborhood, too. Our children play and go to school here. We only want what’s best for our friends and customers. Bring your garments to Signature Cleaners and let us show you the future of clothing care.